Fall is easily the most packed holiday season in the United States – the weather is reliably cooler and the kids are back in school, Labor day, Halloween, Columbus day, Veterans day, Thanksgiving, and sometimes even Hanukkah, all start in Fall. Meaning there is a lot of planning of family trips, get togethers, and shopping. Fall is also an excellent time to take a weekend getaway that includes the family pet, since cooler weather means you and your four-legged friends get to spend time outdoors and not feel overheated. No matter what your day to day tasks are, there’s no reason to not plan ahead for next fall’s travels. And that’s where we come in. Here are some pet travel tips for the fall, plus links to articles we’ve written about pet-related events in the US during the autumn months. Fall is a busy season anyway, so when you plan to travel with a pet you need to make doubly sure you’ve done your homework – arriving in a town where there’s no vacancy at the pet-friendly hotel and all the other rooms are booked for the night is no way to have a relaxing vacation. 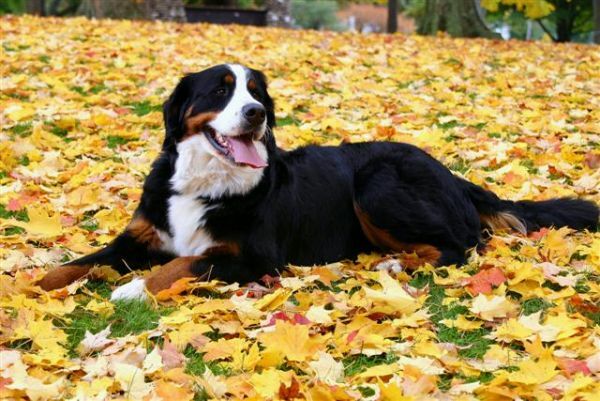 Here are some tips to help make your fall travels fun and memorable for you and your pet. Make sure the tags on your pet’s collar are up to date and fastened securely to the collar. Be aware of local leash laws when you travel – you can’t assume every town loves your dog as much as you do. Find out where the pet friendly places are in the towns you’re visiting so you know where you can go without leaving your furry friends behind. If your pet has short hair, time to pull out the doggie sweaters. If your pet has had a summer cut, let it grow in a bit. Make sure there are no drafts where the pet bed is and dry your dog and cat well after they have had a romp in the rain or after a bath to prevent chills. No matter how cool it is outside, it’s never safe to leave your pet in the car. On sunny days, the car can heat up quickly and on colder days, the car can become an ice box. Snakes are starting to look for places to hibernate for winter and they can become pretty hostile if disturbed. If you go on a hike with your furry buddy, be careful about letting him/her dig around and run through bushes. Keep your pets away from areas where you know snakes like to hang out. While many types of mushrooms are not harmful to pets, the ones that are can be highly toxic. Don’t let your pet wander away too far where s/he may find some and eat them. Keep them away from areas where mushrooms are growing. Make sure you have enough of it for the duration of your time away from home. Pick up refills for your pet before you head out. Some places require that your pet be in a carrier or crate when left alone. A kennel is also a safe way to travel for your pet. Airlines have size restrictions for kennels that can travel in cabin. Check about restrictions and pet air travel policies of the airline before booking. Fall is the time when many of us start winterizing our cars. Clean up spills immediately to prevent your pet from accidentally ingesting coolants. Fleas, ticks, and even heartworm can be of an issue for your pets in the summer. In the fall, these parasites may be looking for a warm, dry place to stay during the winter months so take precautions against them before you leave home. Know before you go where the emergency vet is in the area you are staying in case your pet becomes injured. It saves a lot of stress and time in the event that your pet needs immediate medical attention. Before you leave home, you can find out about a variety of pet-friendly events going on in and around the places you’ll be visiting on your trip, and you can also make sure you’re booking stays at hotels, campgrounds, and vacation rentals that allow pets – all right here on PetsWelcome.com! Is rosemary good for your pet? Thanks Kathy for sharing the wonderful fall pet travel tips By planning your dog travel ahead of time, you can make the vacation a truly relaxing time for you and your dog. I would suggest while traveling with your pet make sure you bring your dog’s blankie or his favorite stuffed animal, toy, bone—any item which is familiar to your dog which will comfort and relax him.